It was a good thing that Chinese New Year is a non-working holiday in the Philippines, thus, giving us a welcome break in the middle of the work week. 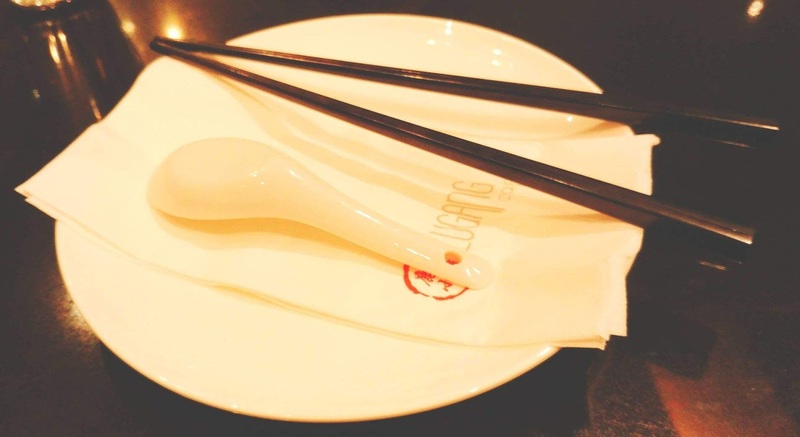 We wanted to celebrate Chinese New Year in a festive manner so we decided to have lunch at Lugang Café at Glorietta 2. Lugang Cafe is one of the restaurants that we have had our eyes on for a very long time, so we took the opportunity to try it when we had the chance to do so. We went to the restaurant a little past lunch time but, as can be expected, there were still a lot of people outside Lugang Café waiting for their turn to get a table. When it was finally our turn, we were led to a big corner table. We flipped through the menu as soon as it was handed to us but we could not immediately decide on which to get because we were quite unfamiliar with most of the food items in the lineup. We wanted to taste almost everything but, in the end, we had to make up our minds on what to order. We also received free Steamed Pork Xiao Long Bao (Php 258) because, as our server told us, our orders were more than a thousand pesos. 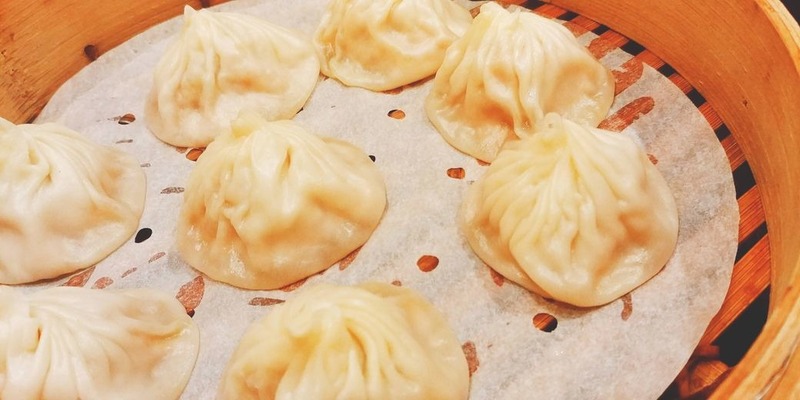 Xiaolongbao (or Xiao Long Bao) is a type of bun that is traditionally cooked by steaming it in a bamboo basket (xiaolong). 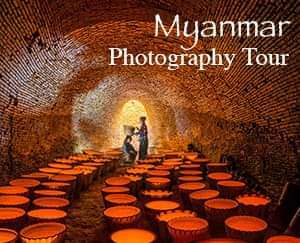 It is also known as “soup dumpling” because it is filled with hot broth so it must be eaten with caution. 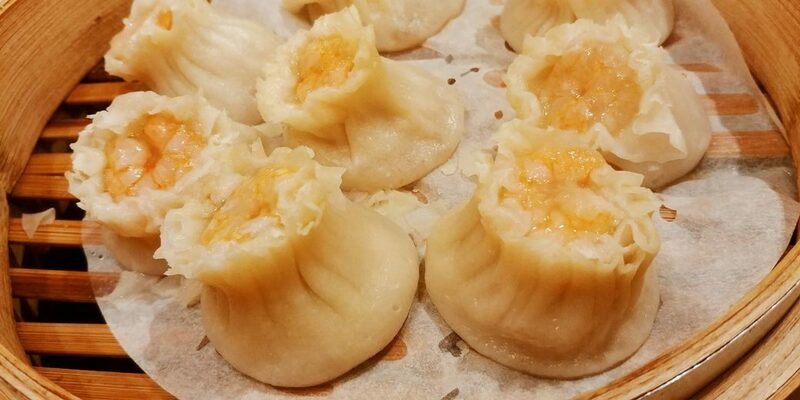 Having previously liked Paradise Dynasty’s Xiao Long Bao, we were actually quite curious to find out what the Steamed Shrimp and Pork Shiao Mai had in store for us so we gave it a try ahead of the other dishes. It was delicious and bursting with flavors. Our server pronounced it as “siomai” but it was very different from what we would expect siomai to be. It was not a compact ball of pork and shrimp. As a matter of fact, the filling was slightly loose and the meat was not finely-ground. The Steamed Shrimp and Pork Shiao Mai was served with a mildly sour dipping sauce. This Xiao Long Bao is no doubt good. For me, it is best eaten on its own as an appetizer, and not so much with steamed rice. As for the Steamed Pork Xiao Long Bao, well, it was how we imagined it to be – delicate, meaty, and filled with flavorful broth. Like the Steamed Shrimp and Pork Shiao Mai, it is best eaten on its own rather that with rice. 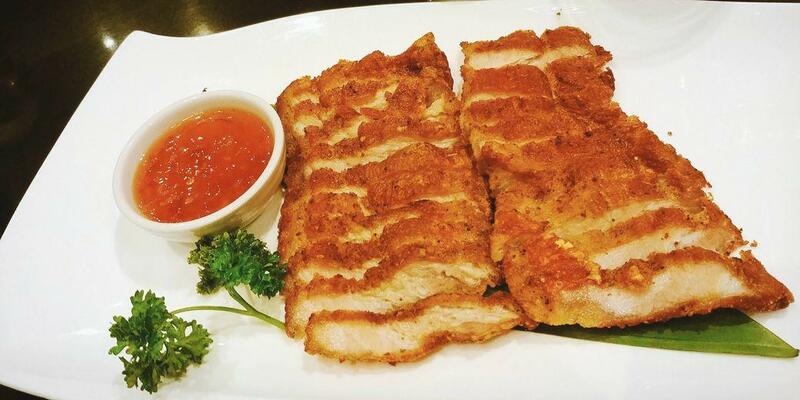 Among the dishes that we ordered at Lugang Cafe, we found the crispy pork belly noteworthy and unforgettable. These are made of thinly-sliced pork and fried just right to give it a soft crunch. The meat is packed with flavors which made it enjoyable to eat. We liked this so much that we just had to order another serving. 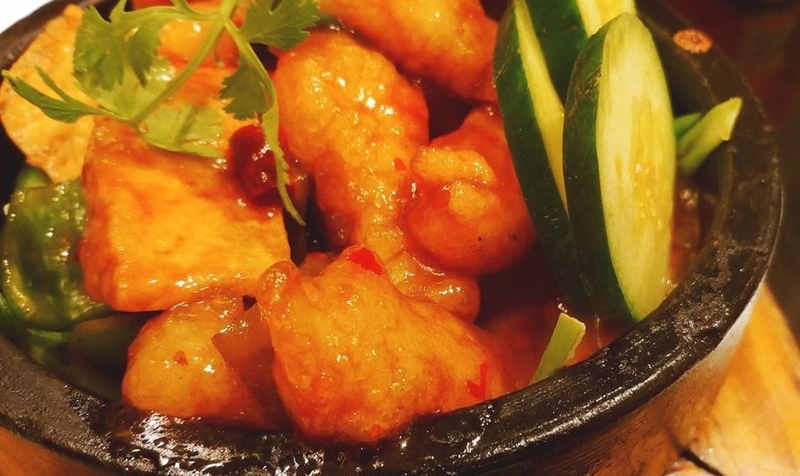 We also found the Sizzling Spicy Garlic Fish in Clay Pot as a must-try dish at Lugang Café. Battered Fish Fillet and chunks of tofu are served swimming in a flavorful and mildly-spicy sauce. This is good with white rice, no question about it. 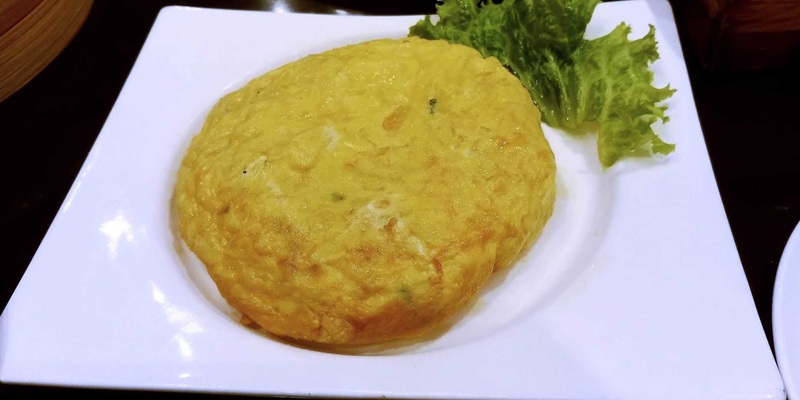 One dish that we have tried only for the first time was the Taiwanese Omelet with preserved turnip bits. The egg tasted like any regular well-seasoned fried egg. What sets this omelet apart was the addition of the turnip bits which were like chewable chunks of vegetables. I thought the turnip did not really add any flavor but at least it gave texture to the omelet. Think of carrot pieces in an omelet; that was how it was like. We also ordered two servings of Lugang Café’s Golden Fried Rice with Egg and Shredded Pork. 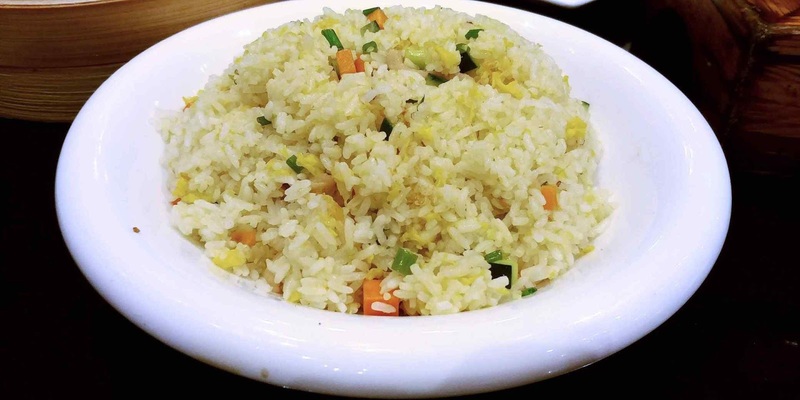 Initially, we asked for a plate of Fried Rice with Taiwanese Sausage but we were told it was not available. In fact, only the Golden Fried Rice with Egg and Shredded Pork was available during the time we went to Lugang Café. Lastly, for dessert, we were happy with our decision to get Milked Custard with Mango. 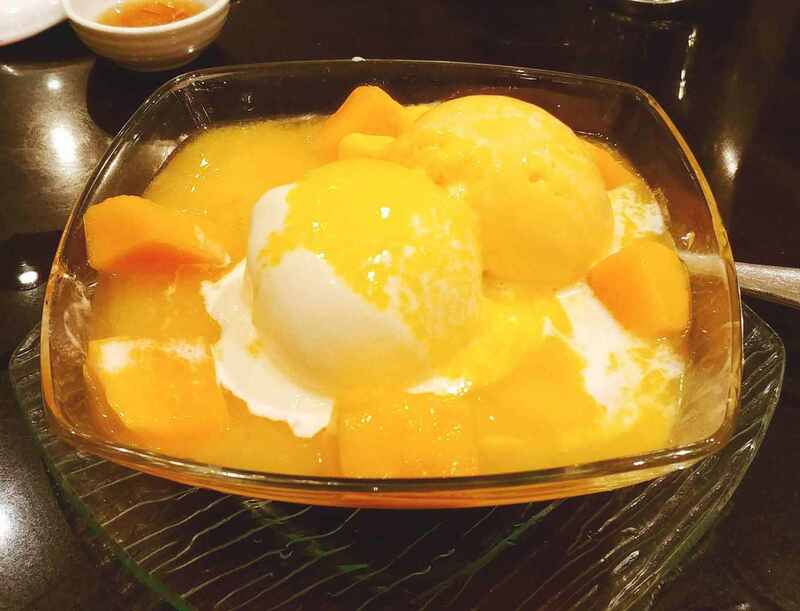 Fresh, ripe mango chunks are served with milky custard which was like ice cream. This was a good dessert for capping off our meal because it was refreshing and with just the right amount of sweetness. Service was fast and efficient, as one would expect from a first-rate restaurant. The servers were very courteous, accommodating, and very attentive. In terms of price, I was expecting our bill to be in the Php3,000-3,500 range but it was just over Php2,000. Not bad for the quality of food and service. All in all, we were very impressed with Lugang Café and we can’t wait to be back to try its other dishes.